The King is concerned that too much time is spent on political discussions rather than concrete actions to spur development. With respect to credibility he opined that “it requires that the continent’s wealth should benefit African peoples in the first place. This means that South-South cooperation should be at the heart of intra-African economic partnerships.” His words reflect the increasing disenchantment of Africans with international firms, backed by their governments, which extract commodities, undersell local manufacturing, and leave no long-term tangible benefits to citizens of the host countries. According to studies by the Center for Strategic and International Studies (CSIS) and the Atlantic Council, Morocco and Africa are too often treated as “part of a problem.” The King took exception, as did these leading think tanks, with that characterization. The King believes that there is much to be gained from partnerships for development. “Africa should forge further fruitful partnerships with the many developed countries that show a constant interest in and sincere commitment to economic progress and human development in Africa, while being actively involved in them…It should also benefit from the opportunities offered by triangular cooperation as an innovative tool that facilitates joint efforts and helps achieve optimum use of resources.” Morocco has much to offer in this regard, as it has used its networks and regional expertise to carry out a number of triangular projects in Africa using funding from international sources. The King’s optimism on these visits to Mali, Guinea, Ivory Coast, and Gabon is striking. 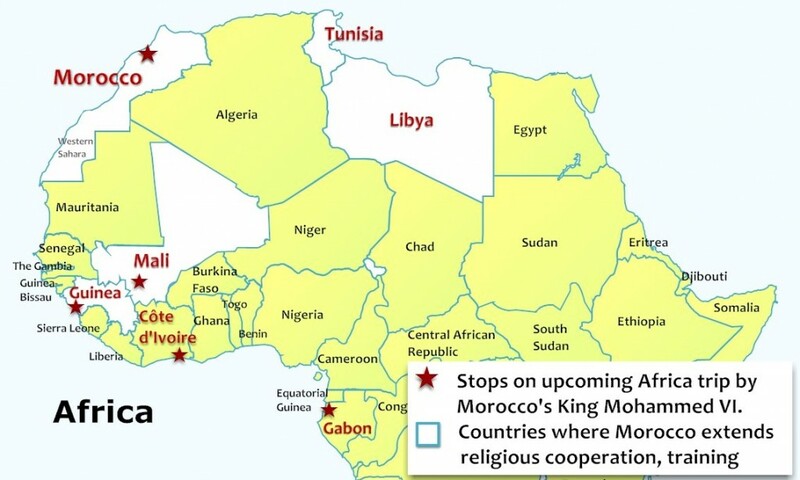 In Mali, the two governments signed 17 bilateral agreements, and another 26 investment and public-private partnerships in Ivory Coast, more indicators of the substance behind King Mohammed’s messages. These are hopeful signs that Morocco and Africa, which are not without challenges to achieving their goals of prosperity, equality, and security, can forge commitments and partnerships to advance Africa towards its continental potential. Co-published with Fair Observer (http://www.fairobserver.com/).